Code barcode reading solutions can be integrated into all areas of the healthcare environment, from the receiving area of a hospital, to patient administration, to a patient’s bedside. 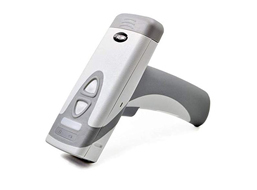 Code offers a complete line of barcode readers that are built to withstand the extensive cleaning and disinfecting devices undergo in healthcare environments. 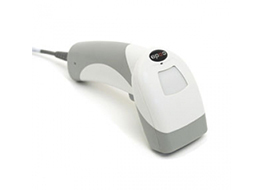 Available in a variety of form factors, including palm and handled, Code’s healthcare barcode readers feature disinfectant-ready plastics that have been assigned a level rating to indicate the type of chemical cleaner each reader is designed to withstand. With Levels 1, 2 and new CodeShield™ plastics, hospitals can quickly select the Code reader that best suits the use case environment. Medication errors have been identified as one of the largest safety issues in healthcare. The U.S. Department of Health & Human Services estimates that more than 770,000 injuries and deaths occur each year as a result of Adverse Drug Events (ADEs) or medication errors in hospitals. 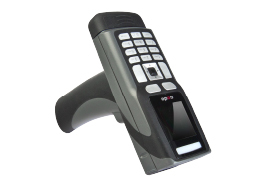 Code is an innovative leader in integrating barcode reading technology into medication administration processes. By electronically matching a drug to patient information through barcoded data prior to administration, clinical productivity, patient safety and quality of care are improved. The FDA has issued a ruling requiring drug manufacturers to place a barcode consisting of the National Drug Code (NDC) associated to that drug on the drug packaging, but drug manufacturer can choose to encode additional data in the same barcode. The barcode may also include lot numbers and expiration date. In order to achieve success with bedside medication administration and verification process, pharmacies need to apply barcodes to as many of the unit-dose and compound medications as possible. If a drug can be scanned in the Pharmacy, it can be scanned at bedside, thus eliminating any manual processes or workarounds associated with unscanned medications. Code readers can be integrated into any Health Information Systems, giving clinicians the ability to verify patient identification at the point of collection, significantly reducing the risk of a patient/specimen mismatch. Additionally, Code readers can communicate via Bluetooth technology which allows a clinician to quickly scan a patient wristband and send data to a mobile printer to produce patient-specific barcoded labels for placement on vials, containers, blood bags and more.